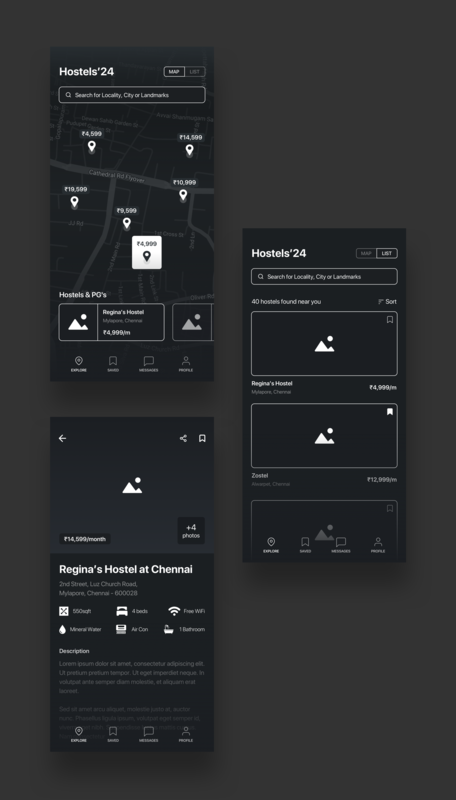 Brief: To design a wireframe for a hostel/pg finder mobile app. 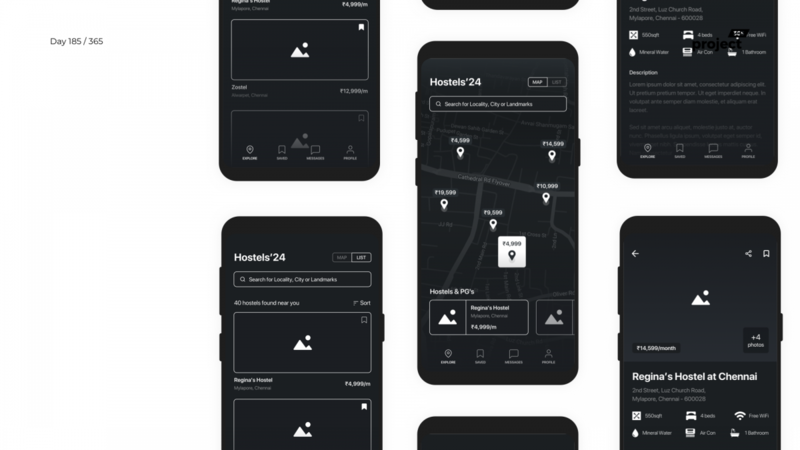 A simple wireframe for an app that let’s you find nearby hostels and pg accommodations/condos. Has a map view and list view on home, with ease of navigation on google maps.